I found Forumotion and started MiiWorld shortly after. A few users joined, some iconic ones being Melon, Garporeon, and TPZelda. It started to grow big, and the forum became a success. Later, Nintendo found the website and the forum received a copyright warning. New Miiverse got shut down due to copyright, so this set the users in panic. The name was changed to "SmashFeed" so it wouldn't be copyrighted. Over the summer, the forum started to grow. Many users started joining and new staff members were recruited. Every once in a while, there would be maintenance hours where the team would all get together and work on the forum for up to four hours. Soon, the forum went into a decline, and things were looking bad. 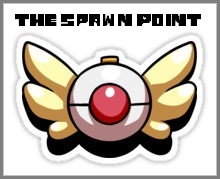 The Spawn Point was made with the purpose of recreating SmashFeed. And here we are today. June 15th. It will be just a few days before MiiWorld's first year anniversary is here. But seriously, I must thank you all for this amazing year. Even if you only made a few posts on here or the old website, you still made this a great experience. It's sad that I'm only in contact with a few of the staff and former MiiWorlders today, but time does go on. Also, small shoutout to Sebastian, Melon, Garporeon, Priscilla, Snipahjoe and Floyd. I've been talking to this people in a Skype group for a while and they've given me some amazing moments in my life and this past year. But really, all of you guys are great. I doubt many people will see this post, but I still wanted to make a small celebration for the anniversary of this site. I had just recovered from a bad friendship. I had nobody left. The new Miiverse update was just around the corner. Everyone was talking about this new "MiiWorld" place. I looked it up and made an account. The chatbox had a lot of people in it. I met the owner and he added me to two Skype groups. I met so many people on this long journey, best friends, enemies, and someone who I live my life for. It has been such a great experience. I'd be nowhere without any of you. Actually, if it had lasted longer than it did it probably would have devolved into a cancerous cesspool like LMR. It's just the four of us now. I really did enjoy my time here. I'm never active on here anymore, but it was a good time. I enjoyed every second of it. You guys are all great. Today is the first anniversary of MiiWorld. Aww. I'm glad I saw this. I never talked to that many people in Miiworld (or on here lol) but it was still nice. I hope that The Spawn Point can live longer so isn't the only anniversary.